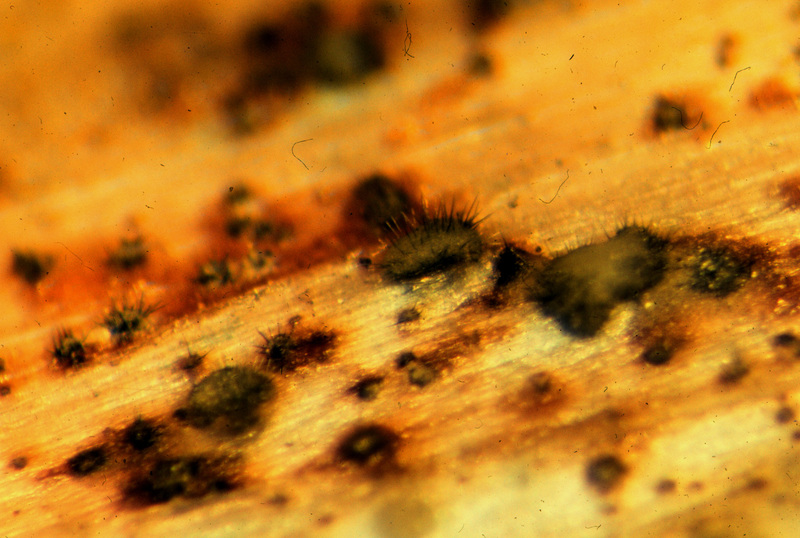 The fungus overwinters as mycelium or sclerotia in corn residue or seed. 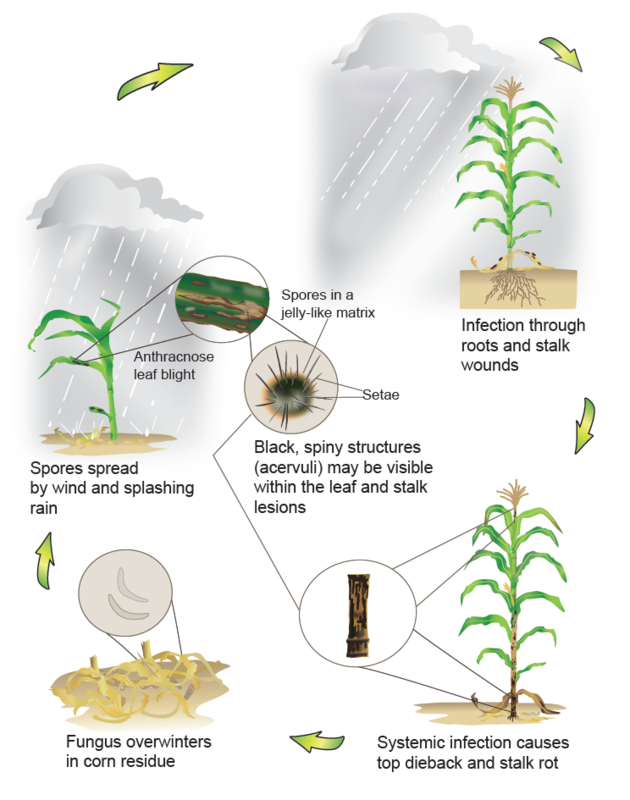 Spores are spread primarily by splashing water. 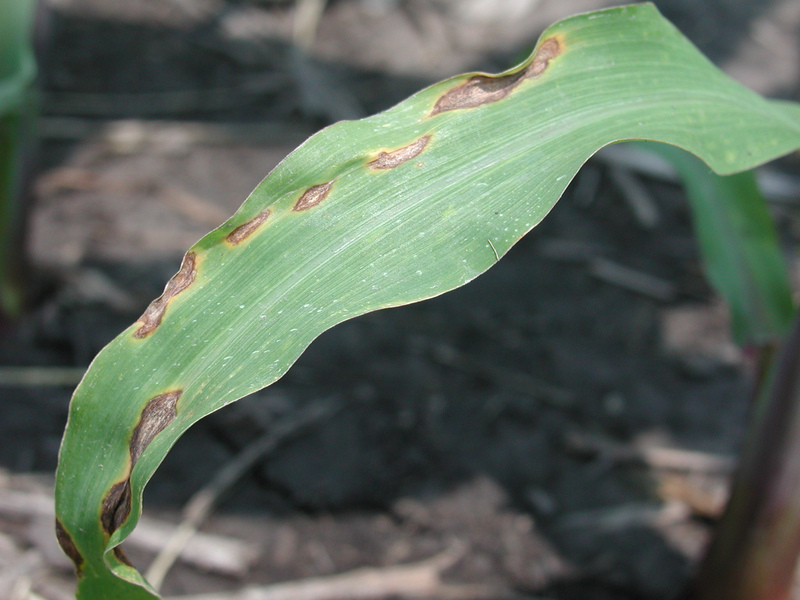 Disease development is favored by wet weather during early crop growth with moderately warm temperatures. 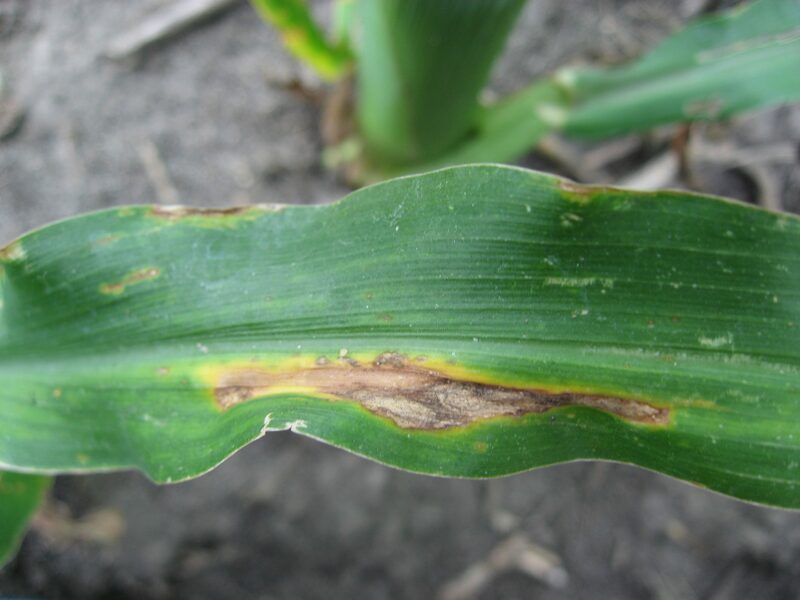 Anthracnose leaf blight is most common where corn follows corn. Disease develops soon after planting and continues to develop until canopy closure. Resistant hybrids and inbreds are available. Crop rotation and tillage reduce survival of the fungus and foliar fungicides labeled for anthracnose leaf blight are available. 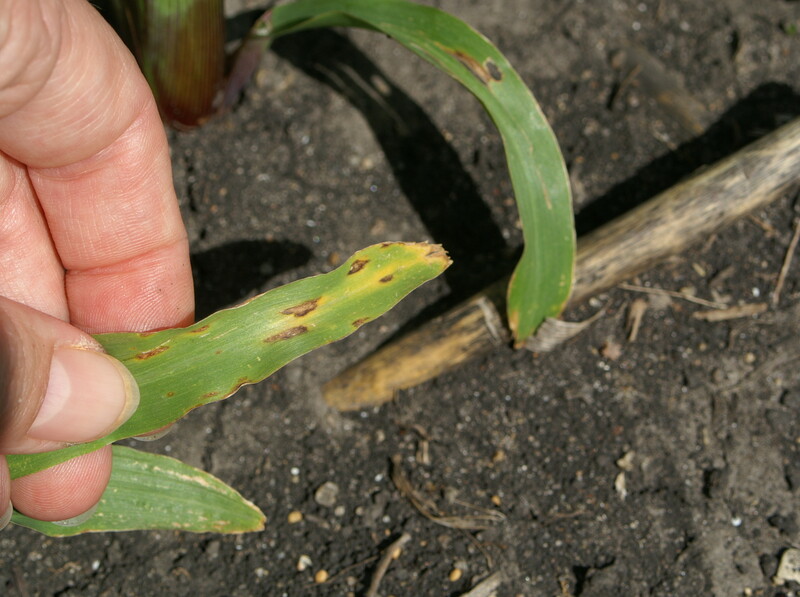 Corn seedling with anthracnose leaf blight leaf lesions. Anthracnose leaf blight leaf lesions. Leaf lesions are oval or spindle shaped, tan or brown with dark brown or purple margins. 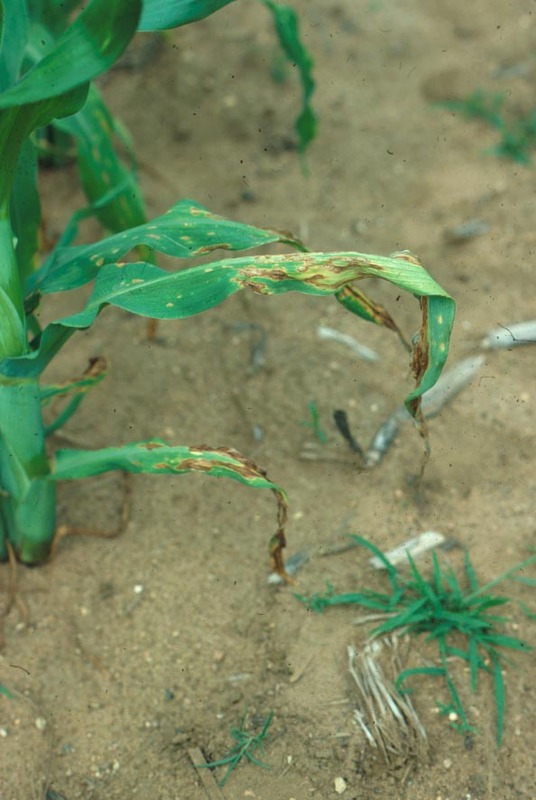 Early in the season, lower leaves usually show anthracnose leaf blight symptoms first. 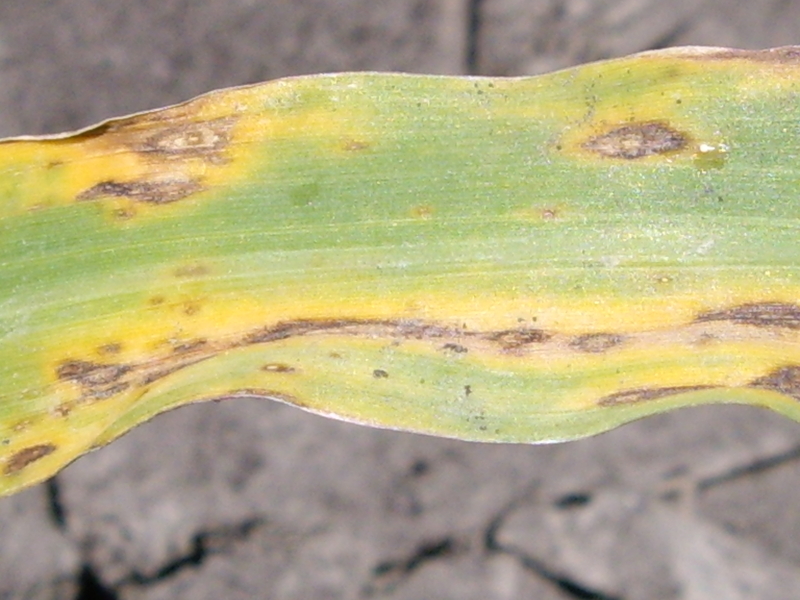 Black, spiny fruiting structures indicative of anthracnose leaf blight on dead tissue.